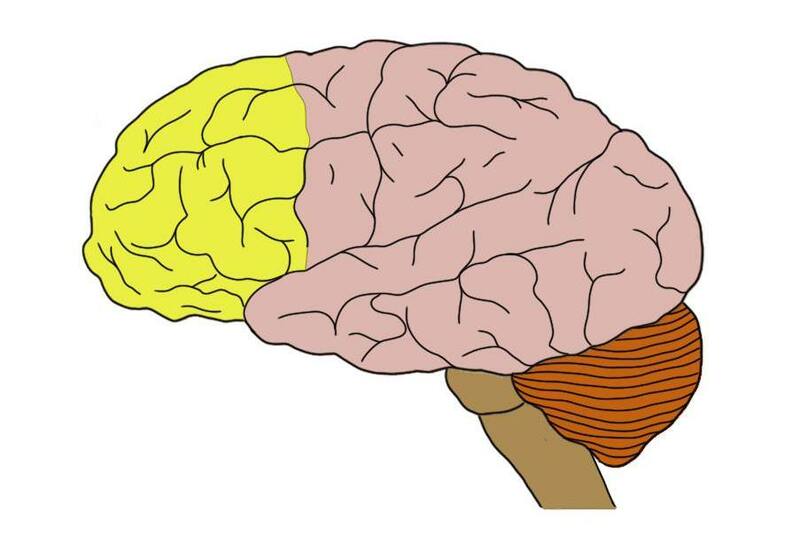 The yellow color is the prefrontal cortex. I was reading a book titled "The power of Habit why we do what we do in business", by Charles Duhigg. When I initially started the book I was just not getting what it was all about. Eventually, chapter nine tied in everything that was read. This chapter was based on a man who would sleepwalk ends up killing his wife while sleepwalking and another woman who became a gambler. We are responsible for our habits. Based on my reading this book I decided to do some research on the prefrontal cortex. Another person who did immense work of this part of the brain is Dr. Joe Dispenza with neuroscience and there are many more people throughout time who spoke on this topic. The prefrontal cortex is a part of the brain located at the front of the frontal lobe. It is implicated in a variety of complex behaviors, including planning, and greatly contributes to personality development. Also, some authors claim it is responsible for a person will, to live or die. The prefrontal cortex makes up over 10% of the volume of the brain and thus is likely involved in many functions. There is one category of cognition, however, that is frequently linked to the prefrontal cortex: executive functions. Some of the functions of the prefrontal cortex. "One example of how the prefrontal cortex operates is when we come up with ""Aha!"" moments. Sometimes when we try to solve a particularly difficult problem, such as figuring out a puzzle, we reach a dead end and need to set it aside for a little while. As we go about our day doing other things, it would seem as if we had forgotten about the puzzle. In reality, the prefrontal cortex continues to work on it behind the scenes, pulling information from the analytical left side of the brain and integrating it with relevant data from the more intuitive and emotional right side of the brain. At some point, a lightbulb goes off and all of a sudden, we have a solution. That is the end-product of what the Prefrontal Cortex has been doing all along." "Patients with prefrontal cortex damage tend to perform poorly on tasks that require the use of long-term strategies and the inhibition of impulses. They also often display short-term memory deficits, which may help to explain some of their difficulties in planning." There is so much more information on the prefrontal cortex, it's very important to study who and what we are. This is a very interesting and informative post Camille. Thank you for sharing this information about the prefrontal cortex and what you have learned from your research.